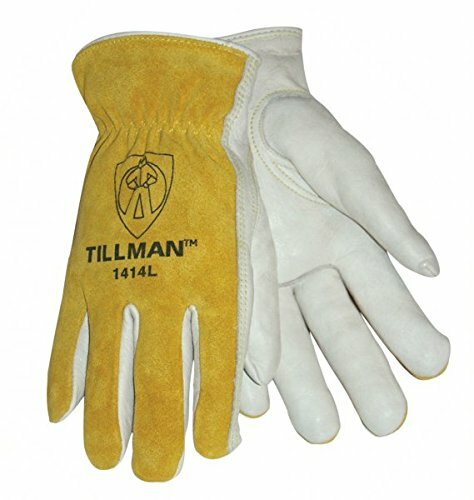 View More In Lab, Safety & Work Gloves. Top grain Pearl Cowhide leather palm; bourbon Cowhide split leather back; Unlined; Keystone thumb; double stitching on forefinger. If you have any questions about this product by Tillman, contact us by completing and submitting the form below. If you are looking for a specif part number, please include it with your message.